Winter is coming early for UNTAMED! WowWee is gearing up for the release of two brand new species: Sabre Tooth Tigers and Dire Wolves. These would make great Christmas gifts this year! Add your UNTAMED collection with these ferocious beasts! UNTAMED Sabre Tooth Tigers: Meet Silvertooth & Bonesaw, fierce and unpredictable creatures that know friend vs. foe. In untamed mode, they’ll roar like hungry tigers! In tame mode, they play like kittens. 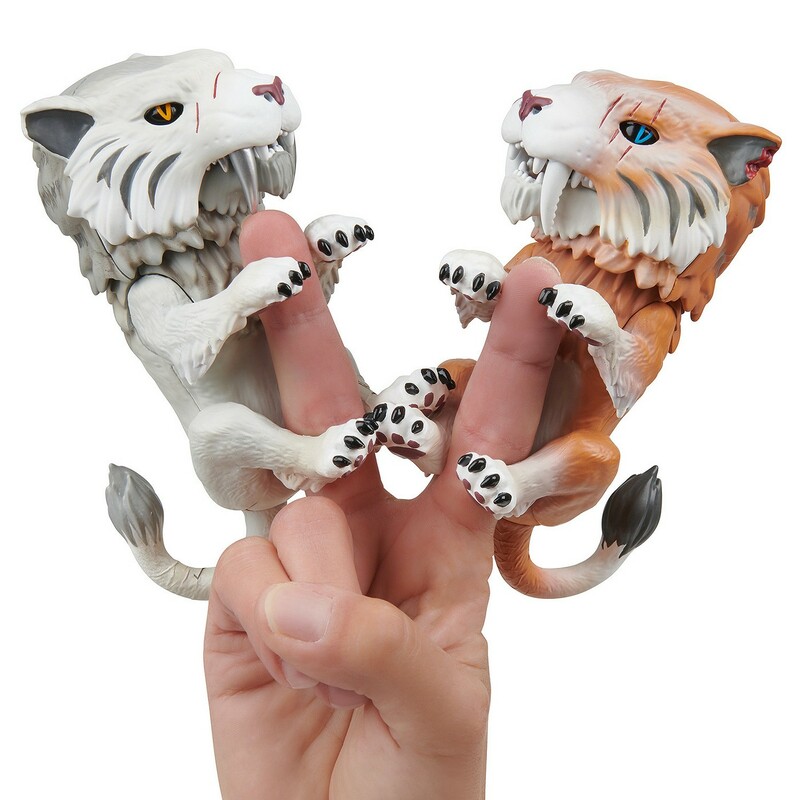 These finger-gripping creatures are fierce and unpredictable, and can tell their friends from foes. Complete with snarling fangs, snapping jaws and gripping claws, these interactive wolves react to touch, motion and sound with over 40 different animations and SFX. The Sabre Tooth will be available at Target. Dire Wolves will be available in December! Disclosure of Material Connection: I received the above mentioned item for these on my blog. Regardless, I only recommend products or services I use personally and believe will be good for my readers. I am disclosing this in accordance with the Federal Trade Commission’s 16 CFR, Part 255: “Guides Concerning the Use of Endorsements and Testimonials in Advertising.